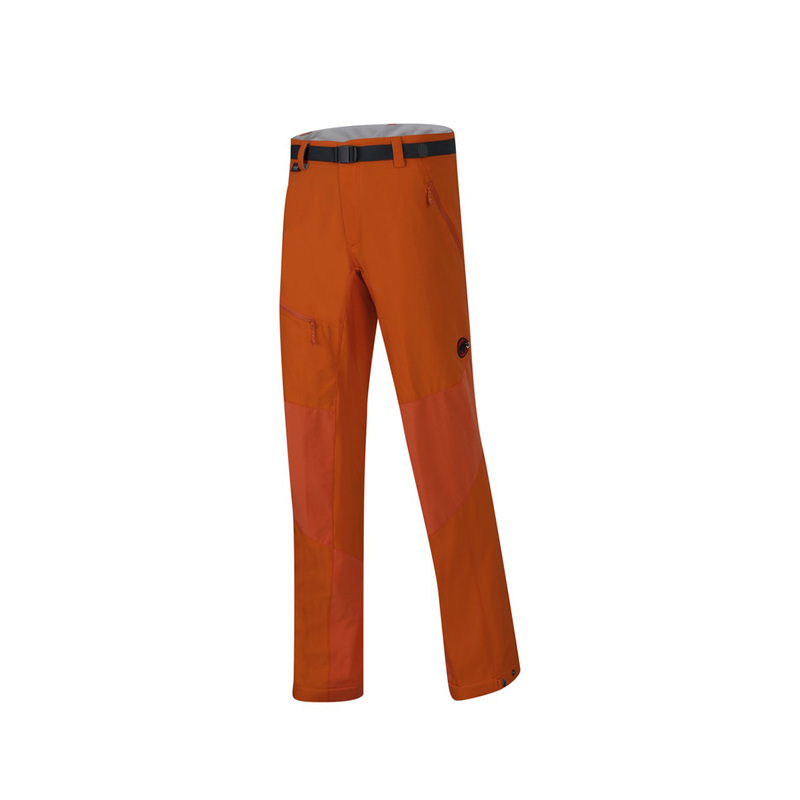 The Mammut Base Jump Pants are technical alpine climbing trousers that are ideal for any alpine adventure, from classic alpinism to light mountaineering and hiking. Made from a unique lightweight stretch fabric by textile experts, Schoeller, the Base Jump Pants have great stretch, freedom of movement and breathability, and they’re water-resistant, to boot. Useful extras include reinforced ripstop patches in the seat and knees, an integrated belt, leg-width-adjustment snappers, plus plenty of pockets to keep your essentials close to hand.